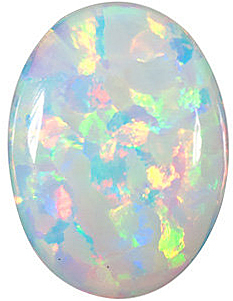 Imitation Opal Oval Cut Stones Imitation Opal Gemstones Display a Semi-Translucent Color With a White Body Color and a Play of Color of Red, Green and Blue..
Who doesn�t love the look of Opal gemstones? With their shimmering play of colors that capture the entire rainbow, Opals have captured our hearts. Opals add a dazzling quality to jewelry designs with their unique appearance. 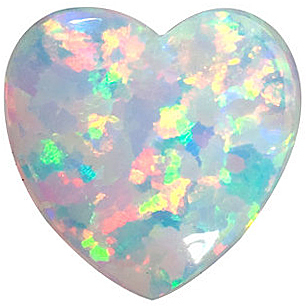 Opals are unquestioningly beautiful and desirable. Yet, the only not so desirable aspect of Opal gems is the price. Let�s face it, beautiful natural gemstones come with a price tag that reflects their value, but they�re not always affordable. Enter imitation Opal. Non genuine Opal gemstones are the affordable and practical alternative to natural Opal gemstones, offering the Opal look without the Opal price tag. Great for custom jewelry gifts, everyday jewelry accessories as well as children�s jewelry, imitation Opal is a great choice. In two popular standard shapes and a sizable number of calibrated size options, AfricaGems offers the perfect Imitation Opals for standard gemstone mountings. All AfricaGems Imitation Opal gems come with FREE Shipping and a 30 FREE return policy. All of the Non Genuine Opal gemstones in our selection are in stock and ready to ship. 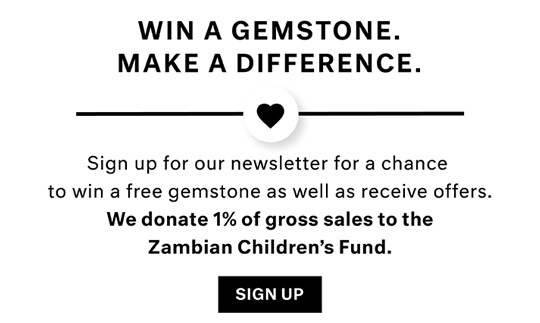 Want to Know More About Opals?